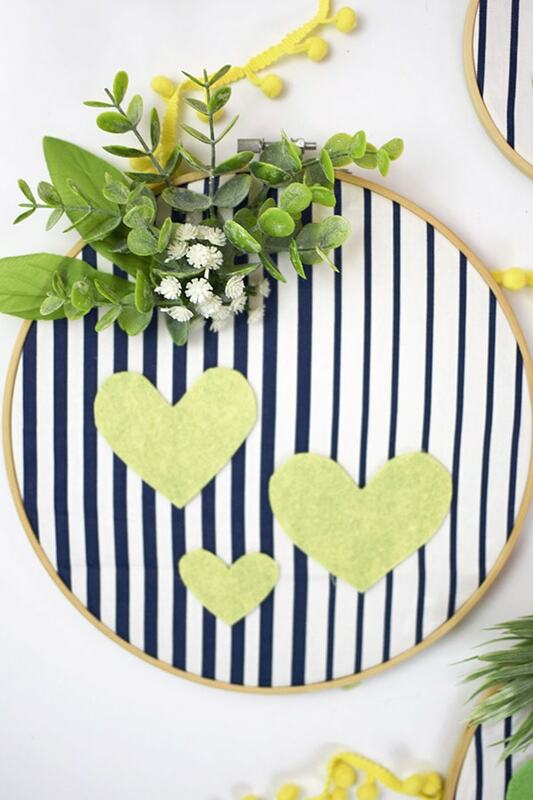 INSIDE : Learn to create Non Pink Valentine’s Day Embroidery Hoop Wall Decor! 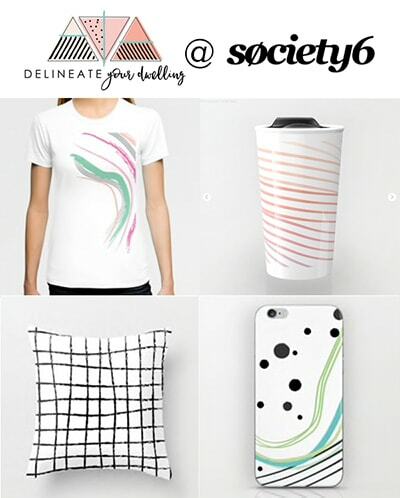 And don’t forget, it is okay to embrace neutrals on the day of Love. It’s the end of January and you know what that means… Valentine’s Day is just around the corner! I just did a facebook LIVE a few weeks ago about creating some love wall decor that had not a single bit of pink or red in it. 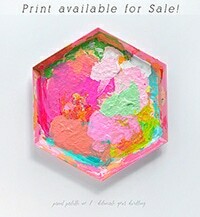 I’m not opposed to pink or red at all, but I like breaking the mold with color when it comes to holidays. 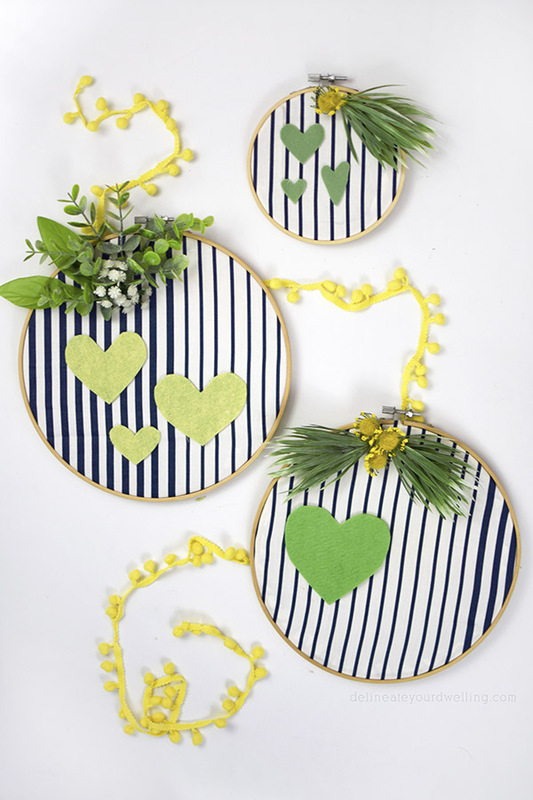 So, today I will be sharing my Embroidery Hoop Valentine’s Day Heart Decor. I made this fun Embroidery Hoop project during a Facebook LIVE. Please watch the video below for the step by step instructions! 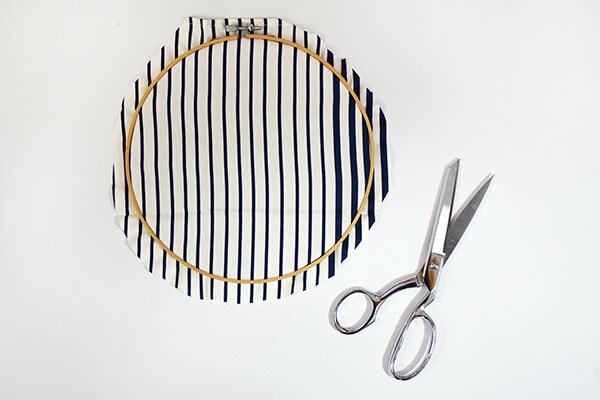 Place your embroidery hoop over your fabric and loosely cut the fabric down to size. 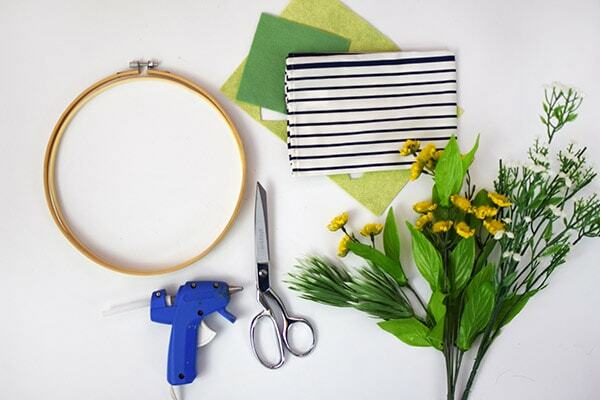 Don’t worry about making this step precise, as we will glue the excess fabric to the backside of our hoop later. 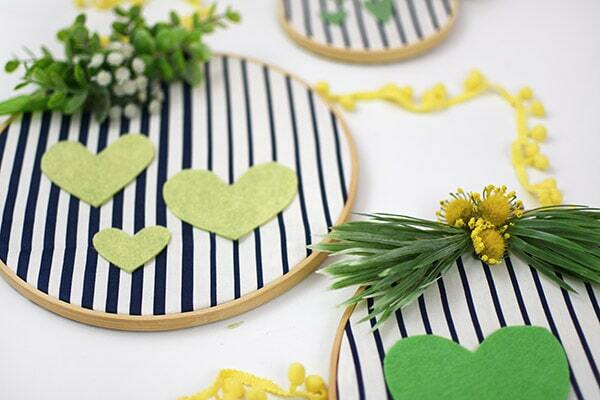 Next, start adding fun embellishments to your embroidery hoop. I used some simple felt hearts and pieces and parts of silk flowers. The finished product is a simple wall hanging that still exudes love but without a ton of frilly pink and red. I hung these three wall decor items in our front entryway. 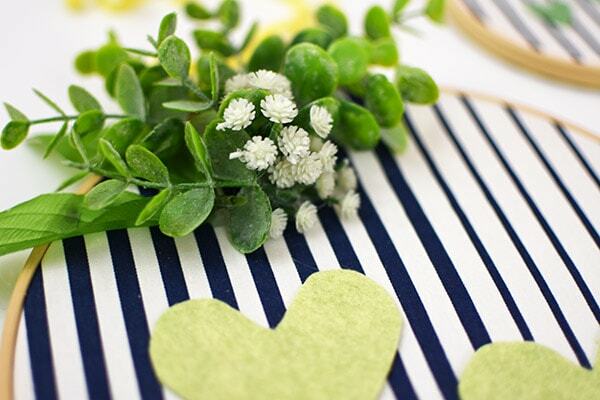 Looking for a fun Valentine’s Day craft for another day, be sure to pin this fun idea below! 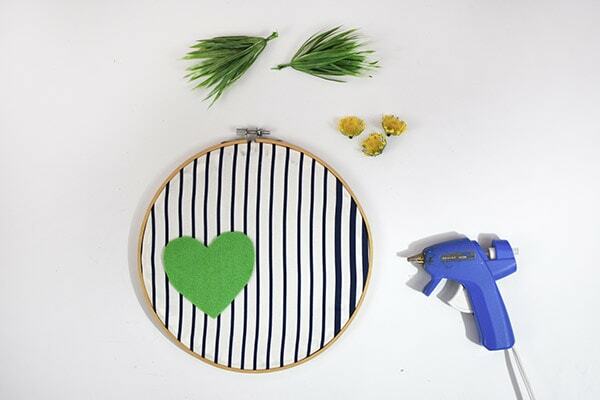 Want a little more love crafting? 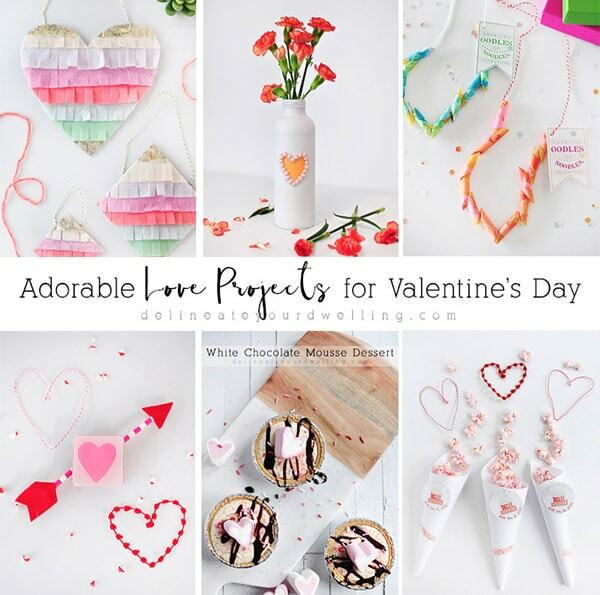 Be sure to check out some of my other Valentine’s Day projects.